advanced reader copy - thanks! According to the back-cover blurb, Cane and Abe is Grippando's twenty-second novel since his debut back in 1994. He has a set of series novels featuring Jack Swytek (which I confess I've never read) as well as a few standalone thrillers. 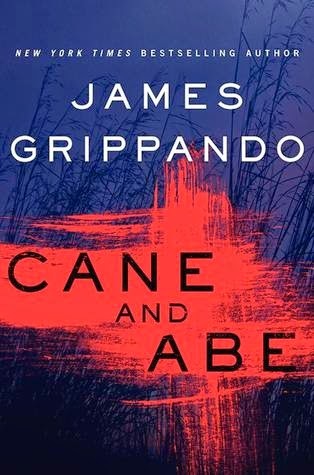 Cane and Abe is his newest nonseries book and it is set in Florida where rightly so, the author depicts big sugar as a major villain in this novel. Big sugar has ruined waterways, has recently sent runoff into the ocean here, has killed wildlife and spoiled the environment big time. Frankly, as he depicts in this novel, I'm afraid that this industry does have the power to line the pockets of some of the officials in the state capital, and sadly, no one in any kind of position of power in this state seems to care enough to do anything. So -- when I read that this book was going to be in some part involved with big sugar, I was eager to read it since I am definitely NOT an advocate of the industry. While the book does move a bit among power wielders in the industry, it turns out that the sugar industry is not the biggest focus here, but it does play a background role in the search for a serial killer whose trademark and killing method "harken back" to the industry's past. That's one plot line. Plot line number two centers around main character Abe Beckham, whose first wife has passed away and who is currently married to wife number two, an old flame named Angelina. Abe is asked by the state attorney's office to take part in the investigation of a body discovered in the Everglades that may be the work of the still-uncaught serial killer. He teams up with an FBI agent named Victoria Santos, and in the middle of their hunt for the murderer, Angelina goes missing. He is frantic with worry that she may just be the latest victim, but in plot line number three, Santos decides that Angelina's disappearance may not be related -- and Abe finds himself under suspicion, leading to plot line number four in which he works to clear himself. The story, for me, was best when suspicion falls on Abe and no one believes him when he says he had absolutely nothing to do with Angelina's disappearance. There is evidence (explained away during the course of this plot line) that points in the opposite direction, and he really goes a little crazy trying to get himself out of this mess. He's also got Santos (who, by the way, I couldn't stand) to deal with -- a colleague who for some reason goes off the deep end on the ball-busting side trying to make a case against Beckman. On the other hand, bringing all of the storylines together leads to a very rushed and sloppy last few chapters that just didn't work. First of all, I figured out the Angelina angle way early on in the game; second, after such a long buildup, the actual ending came rushing out a little too quickly. However, I will say that the last page left a bit of a shiver running up my spine as I realized the implications for Beckham's future. I'm just not a big thriller reader, so really, this book didn't really grab me all that much. Billed as a "spellbinding new novel of suspense," I found it to be neither all that spellbinding nor suspenseful. It's like been there, seen that, nothing highly original here. And really, when someone writes 22 books in 21 years, well, think about it -- there's no way the output is going to fall on the literary side of crime writing. On the other hand, my husband, who is very much into thrillers of all sorts absolutely loved it, with the exception of the ending. And from what I can see now looking at reader reviews and ratings, there are many other people who think like he did -- it's getting some 4 and 5-star ratings and readers are enjoying it immensely. 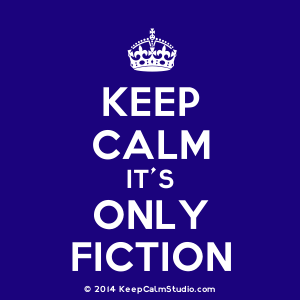 Bottom line -- thriller readers or regular readers of the author's work (if my husband is any judge) will love it. I read this book for TLC book tours, and there are still plenty of opinions to come after mine. The schedule for this book can be found here. Many thanks to Lisa for thinking of me!